• The vehicle is binding when cornering with full steering wheel turn. • The four-wheel drive does not work. • When driving slowly and turning the steering wheel strongly, the vehicle shudders. • The front wheels break traction with aggressive acceleration from a stop. • One or more of the customer statements can be reproduced. • No DTCs are logged in the all-wheel-drive control module. 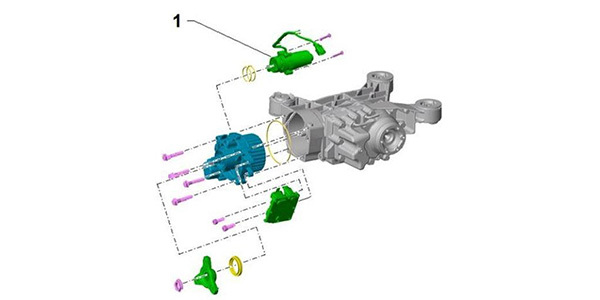 • If the fuse for the control module of the four-wheel-drive clutch is removed, the concern of “The vehicle is binding when cornering” or “When driving slowly and turning the steering wheel strongly, the vehicle shudders disappears. If the technician confirms the findings listed above, there is a good chance there is a black mass in the strainer of the pump for the four-wheel-drive clutch (see Figure 1). Figure 1: Strainer of the pump for four-wheel-drive clutch. 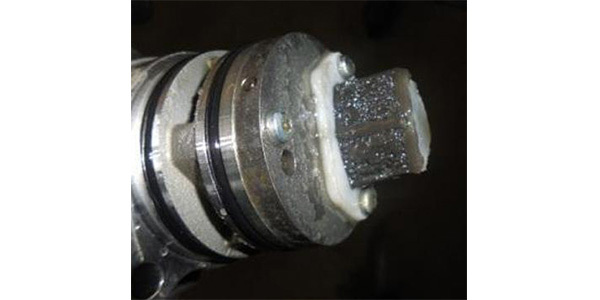 Until the end of 2014, the oil used for the all-wheel-drive clutch led to precipitations of water (condensed water from the air and surrounding area). Together with particles of the clutch and steel plates, these precipitations form a black sludge. This sludge, combined with the normal wear particles from the clutch, clogs the strainer of the pump. 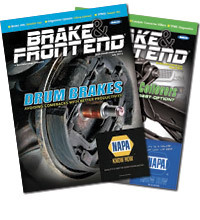 An improved all-wheel drive clutch oil was introduced in the parts catalog which is less sensitive regarding precipitations. The improved oil has the same part number as the original oil. 1. Drain the high-performance oil for the four-wheel-drive clutch according to the service information. 2. Replace the pump for the four-wheel-drive clutch – V181- (see Figure 2), according to service information. Figure 2: Pump for four-wheel-drive clutch. 3. Thoroughly clean the strainer of the pump for the four-wheel-drive clutch and the pump housing. 4. Fit the pump for the four-wheel-drive clutch according to the service information. 5. Fill the four-wheel-drive clutch with high-performance oil according to the service information. 6. Bring the vehicle up to operating temperature for the four-wheel-drive clutch. 7. Change the high-performance oil for the four-wheel-drive clutch a second time according to the service information.